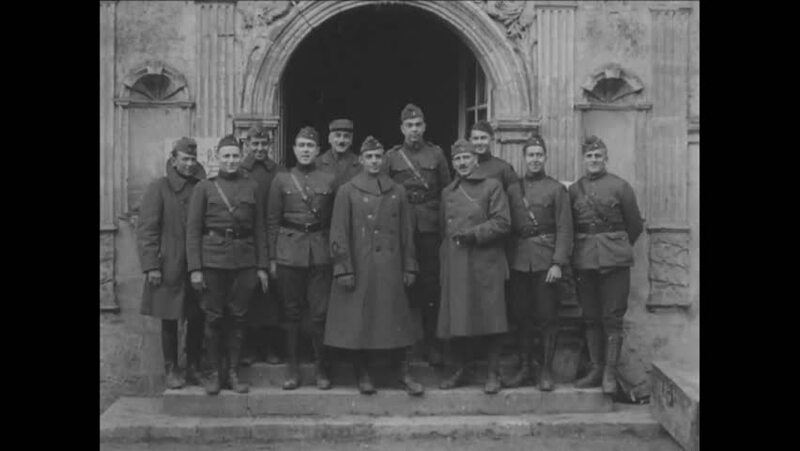 CIRCA 1919 - 6th Infantry officers pose for the camera. hd00:45CIRCA 1940s-Nazi prisoners are transported by truck, and Dutch citizens give soldiers food in Holland during liberation from the Germans. hd00:48CIRCA 1918\xD1A man gives a group of children a treat, a child eats a treat, and shots of children\xD5s clothing in Northern Russia. hd02:061930s: Japan invades China prior to World War Two in the Sino-Japanese War. 4k00:271930s: UNITED STATES: boy smells flower in garden. Boy pulls face. Girl smells flower in garden.